Since Verizon Wireless announced that the iPhone 4 was heading to their network yesterday, the media went on a publishing spree. Just about every article mentions the advantages of switching from AT&T, but there are many things left unsaid. If you plan to buy your first iPhone 4 or switch networks for the same phone when it become available next month, here are somethings you should consider first. Aside from the switch to CDMA, the Verizon iPhone 4 only has one new feature: an integrated mobile hotspot. The AT&T iPhone 4 doesn’t officially support this feature yet, but recent reports indicate that the next Apple iOS update will bring that feature to everyone. For those wondering, the mobile hotspot feature enables 5 WiFi enabled devices to get online through your iPhone’s internet connection. While a great addition, it isn’t unique to the iPhone 4. Just about every carrier from AT&T, Sprint, T-Mobile, and Verizon Wireless offer both dedicated hotspots and smart phones with the same feature. Since the original iPhone first became available in 2007, Apple has introduced a new model each year for the past four years. Unless the company oddly deviates from their release cycle, a new iPhone should become available within the next five months. It is hard to tell whether it will be the iPhone 5 or merely upgrades to the existing model, but Apple will definitely announce something new. 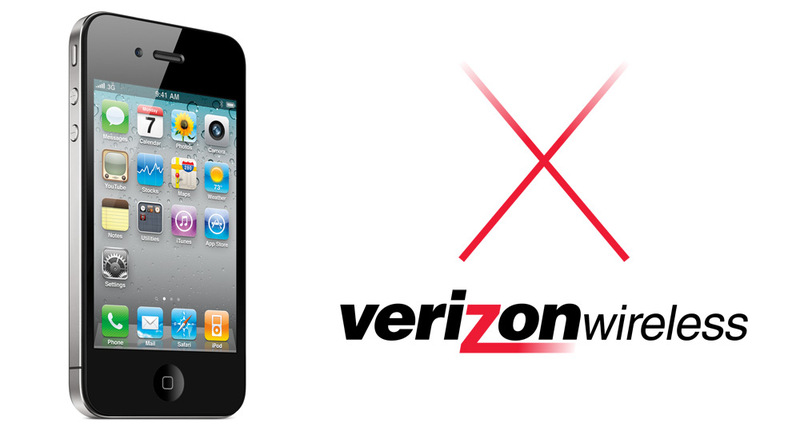 The Verizon Wireless iPhone 4 is only a slightly tweaked iteration of the existing phone. If you buy one next month, you will get stuck with a last-generation model and a two-year contract. Leaving isn’t easy since early termination fees are generally expensive and Verizon Wireless doesn’t offer early upgrades like AT&T. While paying for a reliable network that can handle calls might be a major improvement for many, this phone doesn’t support 4G LTE. For those unfamiliar with the new network, it offers up to 12 Mbps download speeds and 5 Mbps upload speeds. Verizon’s own 3G network, in comparison, only reaches about 1.5 Mbps for downloads and 0.8 Mbps for uploads. While 4G coverage is still limited, nearly a third of the country has access to the new network after last month’s launch. Verizon announced four new 4G-enabled smart phones at CES 2011 which will be available in the coming months. AT&T’s GSM technology lets customers browse the web or other apps during a phone call. This makes looking for directions, checking an email, or other data-driven tasks possible while on a call. Unfortunately, the limitations of Verizon’s CDMA technology only allows one at time. Sure, you can do both at once if you are on WiFi, but if you are not at home or at work, you are out of luck. Having a 4G enabled device solves this problem because voice calls can go through 3G while data transfers occur on 4G. Although this issue is still debatable to some, both the hardware and software capabilities of competition are major steps ahead. With phones such as the Droid Bionic and HTC Thunderbolt heading to Verizon Wireless, the iPhone 4 seems quite primitive. For instance, take a look at our infographics comparing the iPhone 4 to older devices such as the Samsung Epic 4G and Motorola Droid 2 or the even older HTC EVO 4G and Motorola Droid X. If you are an Apple aficionado or absolutely need a feature that only the iPhone 4 offers, the Verizon model is an acceptable upgrade. If you already have an AT&T iPhone 4, you probably should wait until Apple launches the next iPhone model unless you are having major network issues. For the rest looking for a new smart phone or considering their first iPhone, check back soon for an in-depth infographic comparing the latest Verizon Wireless offerings. There’s one more reason if you’re a business traveler and you go to Europe or South America as I do. No Verizon service for the iPhone in those countries due to their GSM networks and the iPhone’s single CDMA capability. This might be a stupid question: I know the iPhone 4 (AT&T) has a SIM card, but is it unlocked for other countries? If I head to Europe like you say, can I buy a pre-paid SIM and pop it in for calls? Obviously the Verizon doesn’t have the technology for that, but hoping AT&T didn’t cripple that. Definitely agree with #’s 1-4. #5, though, like you said, is “debatable to some”. I hate the label of “Best”. Best is a very situational word, and one person’s “best” is oftentimes not another person’s “best”, since each person has different priorities, needs, and uses. Comment: As for #5, the big problem with the iPhone is no 4G, but it does have the highest resolution screen (960 x 640, 330 PPI) of anything in this category and a gyroscope (cool for gaming). I think it will also be the only Verizon smartphone with a front-facing camera for at least a couple months. Number 4 applies to all CURRENT Verizon phones, as it is a limitation of CDMA, but 4G devices will have simultaneous text and data in areas where they get a 4G signal. Also, the HTC Thunderbolt may release as early as mid-February, if some seemingly reliable rumors are correct, meaning it would release very soon after the iphone. That will have a front-facing camera and 4G. So it’s really down to how important battery life, screen resolution and a gyroscope are to you. More current hardware, larger screen, faster network, higher resolution camera, more possible storage (TBolt will ship with a 32 gb micro SD), and more open system, among other things, may trump those three things for many people. Agree with everything you said here (and I hope you’re right about the mid-February release of the Thunderbolt–I’ve even heard early February rumored). The one thing I’d add…I’m not sure the larger screen size of the Thunderbolt is much of a benefit without also having more pixels to go with it, and it also means the phone is just that much bulkier (I hear it’s also heavy and bulky because of the LTE chipset). Have to agree with alot of the points highlighted in this article. If I was a verizon customer I would wait for the next iphone, if you are loyal to verizon you have waited since 2007 for the iphone really what is a few more months to get the new model which I am sure will have many great new features.